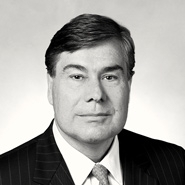 The Real Estate Practice Group at Dinsmore, headed by Richard Tranter, has always had a pronounced reputation for representing developers with respect to some of the more significant redevelopment projects in the Midwest, including the highly successful Rookwood projects in Norwood, Ohio. More recently, they have expanded their practice footprint to include representation of cities, townships and first ring suburbs, assisting them to achieve their economic development and land use objectives. In tandem with Bryan Pacheco, the Village Solicitor for Silverton, Ohio, Richard worked over the last several years guiding the village as it assembled a redevelopment site to jumpstart its efforts to highlight the community’s attractive aspects. That effort resulted in Silverton’s recent selection of a development team comprised of Jeffrey R. Anderson Real Estate and Miller-Valentine. The proposed development, which will include approximately 200 luxury apartments and 60,000 square feet of commercial space, was recently presented by Silverton. Dinsmore applauds Silverton for this gateway achievement. Read more about the development in the Business Courier article below.